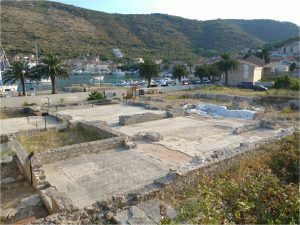 In the western part of the Vis Bay in 4th century BC the Greeks founded Issa – their first colony in Dalmatia. 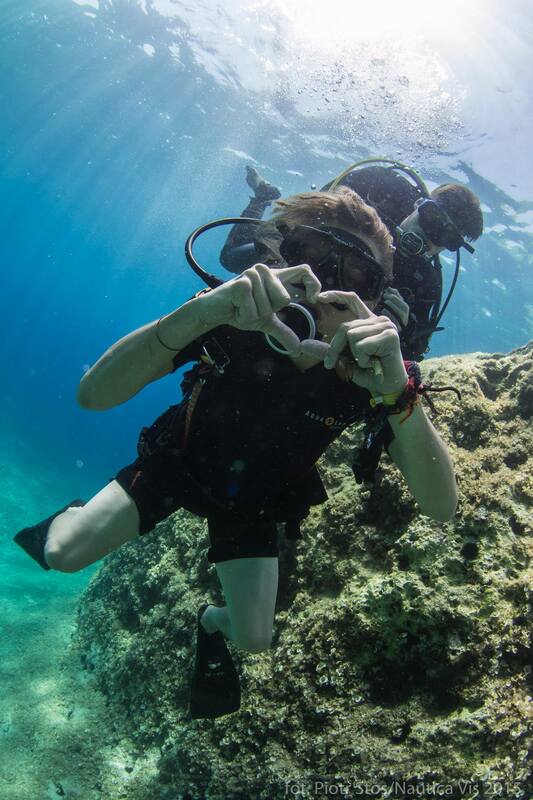 Arisen town was developing and in front of the place, where today Nautica Vis Diving Center is situated, the harbour was located. Along the nearby peninsula Prirovo, in turn, in the roman times fringed the representative embankment, called riva. As a result of the sea level rise of about 1 mm per year, two and a half thousand years later these remains of the ancient culture can be seen at low depths. 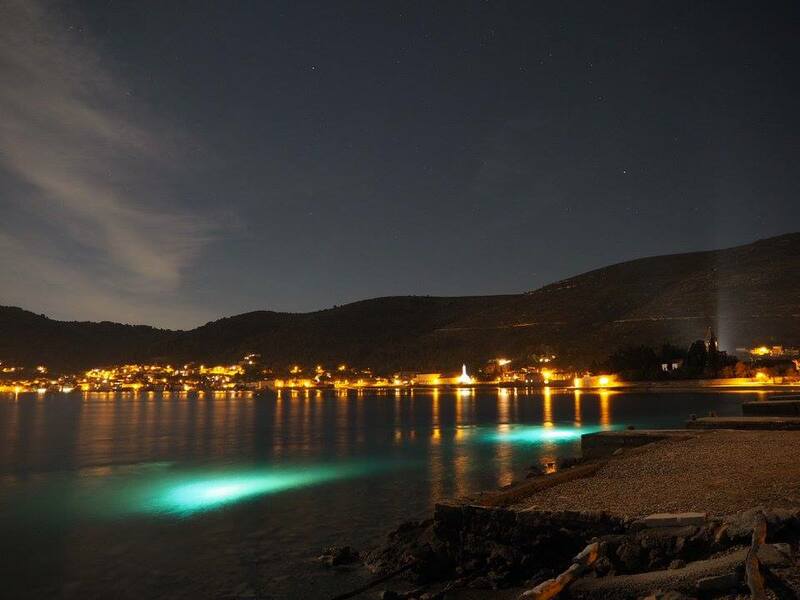 So-called beach dive is being realized in front of the hotel Issa and is specially recommended as a first diving on the Vis island or as a night diving. The entrance to the water is made from a concrete quay in a place where the water depth does not exceed 1.5 m. In the north, there is a shallow and a steep slope, which at the depth of 6 m changes into a sandy plain overgrown with grass. 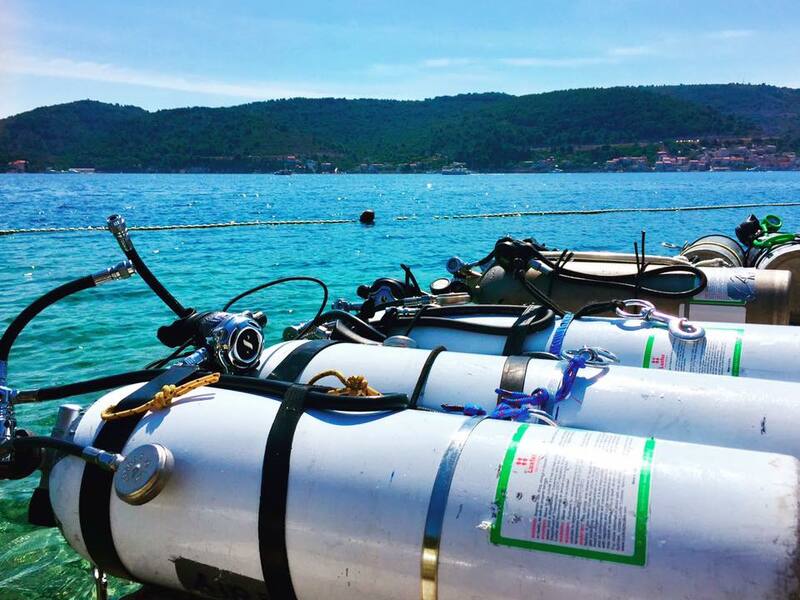 The plain is characterized by small slopes – in the middle of the Vis Bay it reaches a depth of about 50 m BSL. 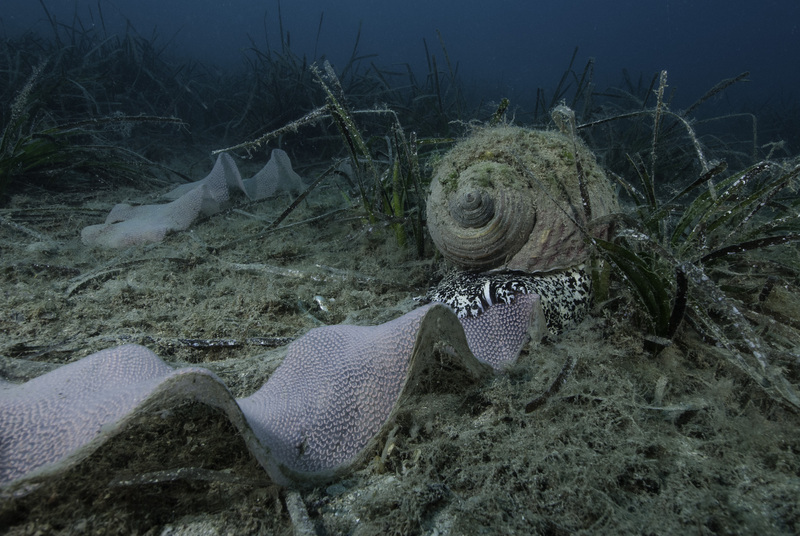 For the divers, however, the most interesting is the slope – abundantly covered with yellow sponges, which constitute a habitat for other marine organisms. 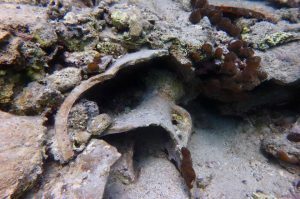 It can be seen, that on only natural forms are adapted by flora and fauna – the remains of the amphorae are also overgrown by the benthic organisms. 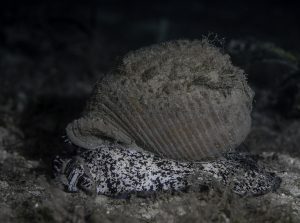 On the other hand on the south of the concrete quay, the slope goes down to a depth of about 10 m. It consists of large rocks, among which the Mediterranean groupers and the red scorpionfish are hiding, and further changes into a stony slope, on which the octopuses often can be found. 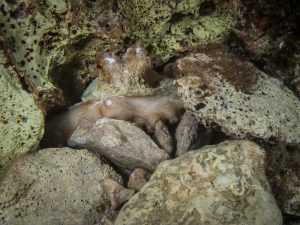 Above-mentioned organisms are nocturnal animals – hiding during days, they seek food at nights. 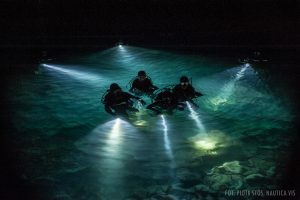 They, as well as numerous crustaceans and tun shells (Tonna) – the largest in this part of Adriatic Sea predatory sea snail – are the reason why the night dives from the shore are regarded as the most interesting.